2012 saw the launch of Tabule Riverside featuring hip, exotic cocktails and many of the much-loved menu items from the original restaurant, like Chef Rony’s famous Falafels, Fattüish Salad and of course their award-winning house-made hummus. What is the origin of Tabülè restaurants? Tabülè was founded in 2006 by my husband Rony and myself. Rony is from Beirut and is the chef. I run the front of the house. 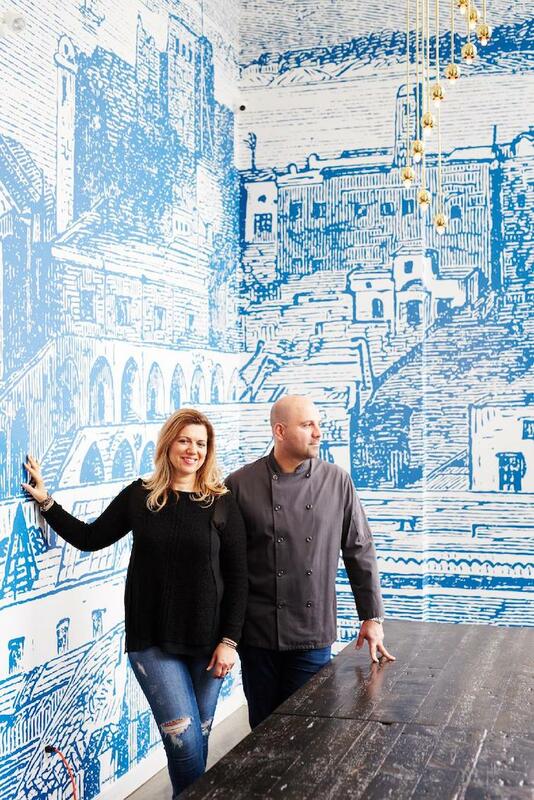 We were one of the first to offer Middle-Eastern food with a more elevated setting, service, and menu. We listened to our customers and started expanding our menu in order to offer more vegan and gluten-free dishes as we grew. We now have 4 locations and a loyal fan base. What are some tips you can give people for eating healthy while living a busy lifestyle? I am very fortunate to have such easy access to our menu and a chef at home. Even so, planning ahead is essential. I try to stock up on real, fresh, whole foods and snacks. I also try and stick to the perimeter of a grocery store and avoid the middle aisles. By shopping at my local butcher, seafood store, and fruit market, I can also ensure I am eating healthfully. Hummus is definitely a staple in our house as are olives, nuts, fruits, and vegetables. When eating take-out or delivery, there are healthier options available. I always order salads, dips, grilled meats, and seafood. With our menu, it is honestly very easy to eat in a healthy way whichever is your dietary preference; vegan, vegetarian, pescatarian… did you know we now have baked falafel at our Souk Tabülè location? What’s your favourite item on the Tabülè menu? What’s something your customers may not know about Tabülè? We make almost everything from scratch, butcher our own meat, grind our own ground meat, make our own dressings, etc. This has been happening since we opened. This is not a trend – it’s what we believe in. I should also mention, Tabülè was almost called Leila’s bistro! What do enjoy most about working at one of Toronto’s favourite and healthiest restaurants? The people! I love our customers and our staff. Nothing makes me happier than having a customer walk up to me and tell me how much they love dining with us or staff telling me how much they enjoy working with us. The great food helps a lot too! It has been 13 years and I really can and do eat at one of our locations almost every day and love it.